Ever since we first came across Frederic Robinson via early releases for London label Diffrent Music we’ve been keeping a keen ear out for more of his eclectic, innovative and utterly unique take on the 170BPM sound. Refusing to be pinned down by genre stereotypes or the trends of club music, Frederic’s material combines hints of jazz, pop and classical with a touch of the D&B sound and the results are truly exceptional. Following his first LP for Blu Mar Ten Music, Frederic has moved to possibly the only other home within the scene his music was likely to find, and dropped his second album for Med School. Thankfully the experimental wing of Hospital Records appears to be more than happy with his musical direction, because the album picks up exactly where debut Mixed Signals left off. 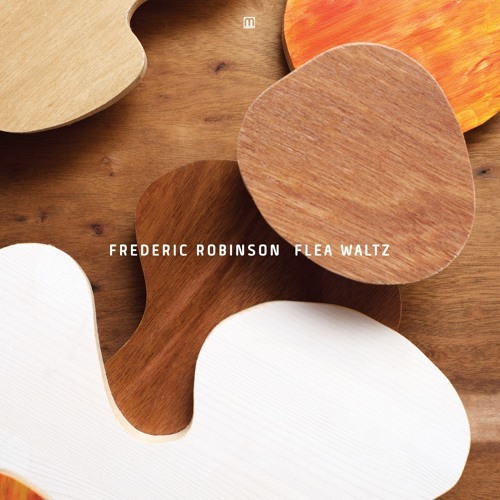 Frederic’s music continues to be filled with a childlike delight; complex melodies and harmonies flitter in and out of the mix accompanied by deft, rapid yet soft percussion and the tracks live up to the album’s title in many ways. It’s not difficult to imagine an army of tiny fleas beating drums, playing tiny xylophones and waltzing manically to the uplifting symphony. Every track feels effervescent, innocent, almost like an expression of pure joy in musical form, and the overall effect is beautiful and breathtaking in equal measure. Sadly clips of many of the album’s tracks have yet to surface, but the handful that are online can be heard below and should provide more than enough encouragement to pick up what is undoubtedly one of the album’s of the year. Hit up the Hospital Store to grab a copy on vinyl, CD or digital right now; you won’t be disappointed.